Review: Mudcrutch, '2' Tom Petty's old band returns with a cleansing wash of classic rock, crafted with just the right touch of sweet-natured sentimentality. "We thought The Epics was too corny a name," Tom Petty once said in an interview, speaking of his garage band in Gainesville, Fla., in the late '60s. "So we picked this really terrible one." 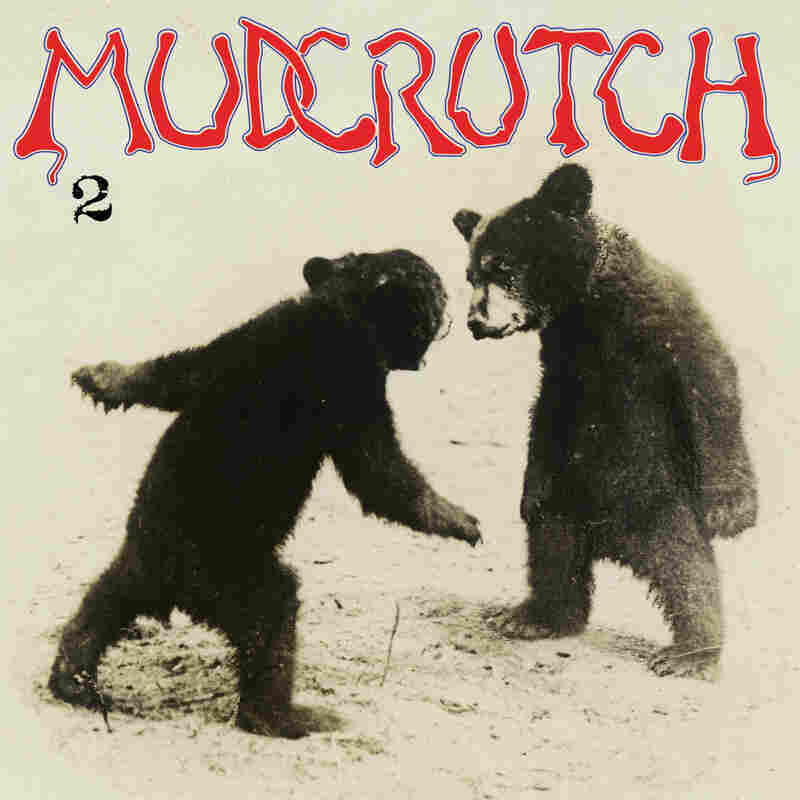 That terrible name was Mudcrutch. From 1970 to '75, the group tried its best to make it big, even going so far as to relocate to Los Angeles. There, Petty was urged to go solo, which he did in 1976, taking two Mudcrutch members (guitarist Mike Campbell and keyboardist Benmont Tench) along with him. The new band picked a more pleasing name, The Heartbreakers, and the rest is history. Mudcrutch faded to a footnote. That is, until 2008, when the reformed Mudcrutch released its self-titled, long-overdue debut album — a rollicking, rough-hewn batch of Southern-rock nuggets that became a surprise hit. After another, slightly less lengthy break, Mudcrutch is back. The band's new album, 2, has a title as utilitarian as its music. As with Mudcrutch, there's nothing flashy or extraneous here — just down-home, steady-as-she-goes rock songs with hints of swampy twang and folksy grit. As before, Petty plays bass instead of his weapon of choice in The Heartbreakers, the guitar. Tom Leadon, brother of Eagles co-founder Bernie Leadon, is on guitar alongside Campbell, while Randall Marsh resumes his spot behind the drums. A sense of "I can't believe this is actually happening" permeates Mudcrutch; on 2, it's more a sense of "We've got this." Rather than incorporating a smattering of cover songs from the band's original early-'70s repertoire — like Mudcrutch did with The Byrds' "Lover Of The Bayou" and the Appalachian folk standard "Shady Grove" — the new album consists entirely of originals. Petty wrote the lion's share, but everyone pitches in with a song. That said, 2 has less of a hootenanny feel than its predecessor. "Trailer," "Dreams Of Flying" and "Save Your Water" hew closest to The Heartbreakers' lean, concentrated roots-rock, which is a welcome thing; those songs anchor the album's more free-wheeling forays. "Hope" pounds out some organ-driven, retro-'60s psychedelia. "Victim Of Circumstance" is an upbeat country-rock scorcher. "The Other Side Of The Mountain" adds banjo to its Byrds-esque, bluegrass-inflected harmonies. From the barrel-house boogie of Tench's "Welcome To Hell" to Petty's simmering delivery in the album's epic-length closer "Hungry No More," 2 is both looser and more cohesive than its predecessor — a cleansing wash of classic rock with just the right touch of sweet-natured sentimentality. "We used to dance to Lynyrd Skynyrd," Petty sings with a tremor of nostalgia in "Trailer." Mudcrutch did more than that; it used to open for Skynyrd in the early '70s. In a way, the story of Mudcrutch is an alternate history of Southern rock, and 2 continues the tale of what might have been had things gone differently for a young, hungry band of small-town boys hunting down their dreams in L.A. The group that once carried Petty to stardom is now taking a victory lap, sifting through its past and basking in belated grace. "Take my horse down to the water, let him graze a while," Petty sings in the tender, acoustic "I Forgive It All." In a sense, that's exactly what he's done with Mudcrutch. On 2, the grazing's good.